An Open Letter to Creative Scotland from 150 Members of the Artistic Community in Scotland and Beyond. The news this week that Catherine Wheels are to lose their status as a regularly funded organisation has come as a blow to many of us in the theatre community. The role and influence of Catherine Wheels extends far beyond the core employees that make up the company and as freelance artists who have worked with the company, benefitted from their expertise or simply been inspired by their work we wish to ask Creative Scotland to reconsider their decision. The value of this company to the artistic community cannot be underestimated. Catherine Wheels have spent 20 years honing the skills needed to support, nurture and inspire one of the most imaginative and thrilling audiences there is; young people and their adults. To consistently serve and challenge this audience and respond creatively to their emotional, social and imaginative needs; to take their lives and stories seriously and respond with work that is as sophisticated and complex as they are. It is this body of experience and work that make them one of the most thrilling companies for us as theatre makers to work with. Working with them has consistently stretched all our creative capacities; they challenge an artist to go further and as a result they are often the catalyst for substantial leaps in an artist’s creative practice. Quietly and often unseen in schools and theatres across Scotland and across the world this company are providing an imaginative space for an audience that (perhaps uniquely in theatre) crosses racial, socio-economic, age and religious backgrounds. It is important to recognise that the ability of this work to move an audience from 2 up to 102 is no accident. It requires the skills and commitment of artists, technicians, administrators and managers who have all worked for years to make this company not only one of the best in Scotland, but known through the world as a maker of courageous, surprising and ground-breaking work. As artists this wealth of experience is invaluable. The company is a place to turn to, not only for inspiration, but also for advice when making work elsewhere, for young or old. They have helped to develop the careers of many freelance artists and have time and time again nurtured those artists long-term. In a profession where there is often very little security or stability for those making the work, where we have none of the benefits of a stable organisation behind us, Catherine Wheels has been a beacon of professionalism, fairness and support; indeed, for many artists, they have provided the closest we have to a home. It is not just the artistic results of the company that should be a cause for reconsideration, but the effect that their generosity, complete focus on their audience, and the spirit of artistic adventure has had on the wider Scottish theatre ecology. Many of the artists and makers who have worked with the company have been influenced by this approach and gone on to found companies and make work that is more daring, more adventurous and has pushed the scope, scale and quality of theatre for young people to new levels. As artists we would be much diminished both individually and as a community if we were to lose a company whose work has become a marker of excellence both within Scotland and on the international stage. 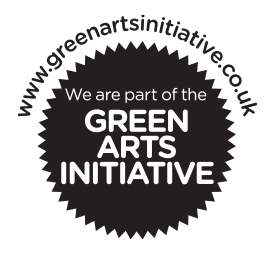 Signed by 150 members of the Artistic Community in Scotland and beyond.